The weather has been fantastic! 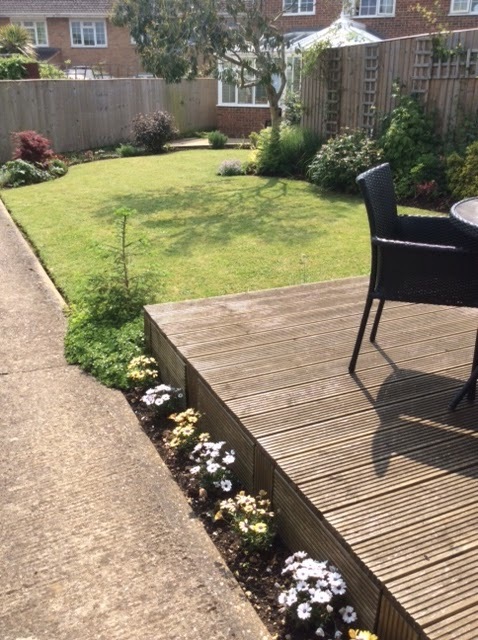 I hope all those of you who live in Britain have been managing to grab a few hours of outdoor reading in this "season between seasons." (I borrowed that very apt quote from the poet, Eavan Boland as she describes a visit to Ireland in May) And those of you in the rest of the world, firstly can I say I am amazed that so many of you have stumbled upon this blog and a heartfelt thank you for reading me so regularly. And if we're alluding to statistics, I am excited to say that my 20,000 hits is possible with this post, so a thank you in advance to all of you who make it worthwhile for me to sit and pen my musings on books. 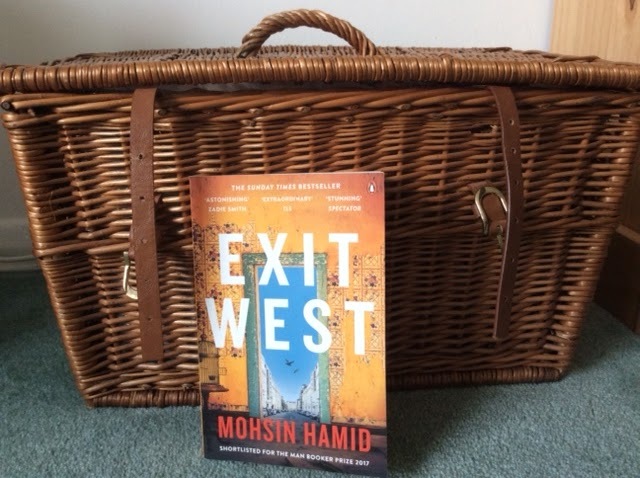 The last couple of weeks has seen me complete Sebastian Faulks, Where My Heart Used To Beat and Mohsin Hamid's Exit West. It has also seen me say "Goodbye" to my last set of year 13 at my school as I exit north to take up an MA in Warwick next term. This is a weird time for me. I have been at my current school for 16 years (about time you did something else then, I hear you say!) and so this year's leavers' afternoon tea in my classroom was poignant. Teaching is a privilege. It has allowed me to access young minds and open them to explore their world through books and writing. It has given me the joy of being trusted by young people and immense satisfaction as I see students discover what they can do. There is no doubt, that this particular door closing is not without sadness or trepidation, but it is the right time for me to move on and try something new. I am very excited about this and my current students, both those who are leaving and those I am handing over to new teachers, have been wonderfully supportive of my mid-life crisis that has lead me back to university! Mohsin Hamid's, Exit West is, as you might expect, another example of his highly intelligent writing. His novels are short and perfectly formed. Shortlisted for the 2017 Man Booker, this book explores immigration and globalisation. As the title suggests, the thrust of the story involves two characters who flee their native land and culture to seek a safer life in the West. Their country is never named, but the description in the opening lines of "a city swollen by refugees but still mostly at peace, or at least not yet openly at war," sets the context for their city to become a place where mortars are dropped and street skirmishes, patrols and curfews become the norm. Though unnamed, the calls to pray denote a Muslim community and the "crumbling facade that dated back to the colonial era" shows a history of invasion and cultural influence from the West. But the story is not a simple one of a war-torn former colony. Hamid has created a panorama of people on the move from all sorts of places for all sorts of reasons. He has snapshots into the lives of people all over the world, and so in the opening chapter, he switches from the central story to a diversion in Australia where a woman sleeps whilst a man seems to emerge from her wardrobe and then drop out into the night. And here is where Hamid has employed a surreal concept. Instead of a lengthy narrative of treacherous crossings, border patrols, people smuggled in the backs of lorries and the undersides of trains, he establishes a metaphor of doors opening all over the world. Doors that lead somewhere to the West but their destination is never known. Using the well-known Narnia imagery they symbolise migration, not from a wardrobe to a land of snow, but from conflict zones in the Middle East and Africa to the West. Their very existence tells of the desperation of those who flee from wars and politics that are not of their own making. The people who find the doors, who pay for access to them, never know what they will find on the other side. This simple metaphor conveys complexity of human experience and emotion; it shows how so many people are forced to step away from everything known to embark on something totally unknown. And so it is with the protagonists Nadia and Saeed. Already estranged from her parents by her modern decision to live independently, alone and without practising any faith, Nadia meets Saeed in an evening class on corporate branding. He lives with his parents and conforms to expectations of filial obedience and religious observance. Conflict changes everything however, and when electricity is rationed, mobile signals turned off and the internet shut down, modern life is impossible. Windows are boarded and taped in case of mortar attack and people live in their boxes without contact with the outside world. This isolation is much of what led Nadia first to live with Saeed and his father and then to flee, to seek out and find a door. The rest of the novel details Nadia's and Saeed's experiences of London and then America, but cleverly snapshots the lives of other immigrants pushing open other doors throughout the world. It is a story of humanity, of prejudice but also of hope. It has elements of realism, surrealism and dystopia. It shows welcome and fear. It shows bridges being built and isolationism being enforced. Hamid writes in a way that demands an intelligent and thoughtful response. You are never going to close the final pages and think "that was a nice book!" It is much more than a story; he uses the power of a story to provoke thought about contemporary issues. My overwhelming response to Exit West is one of hope for humanity globally, that we can reach beyond the current politics and overcome them with fellow feeling. Such feeling might stem from compassion but needs to become rooted in equality. Ooh! Now definitely want to read Exit West!